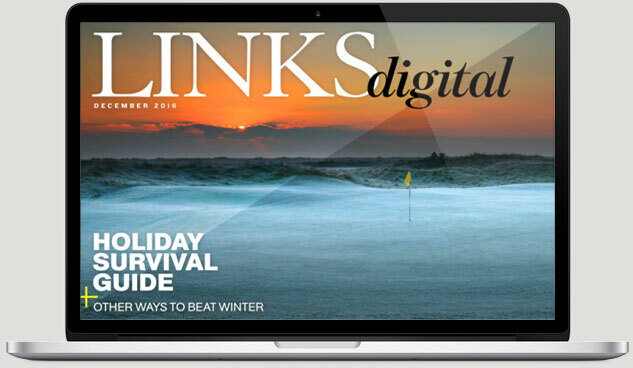 Mike Keiser, the developer of golf getaways like Bandon Dunes, Sand Valley, and Cabot Links, has long said that one course is a curiosity, while two creates a destination. So, what does 39 courses under one umbrella make? 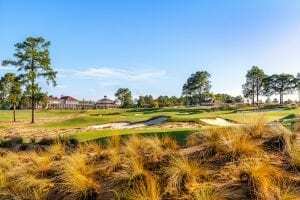 In the case of the Executive Golf Trail at The Villages in Florida, it makes for the largest golf facility in the nation, with a total of 351 holes and counting (a 40th course is set to open soon). These semi-private, nine-hole courses are comprised of primarily par three holes and open only to residents of The Villages and their guests. The sprawling retirement community also features 12 regulation-length golf courses—10 of which are 27-hole properties—that account for another 306 holes. It’s a unique example, to be sure. 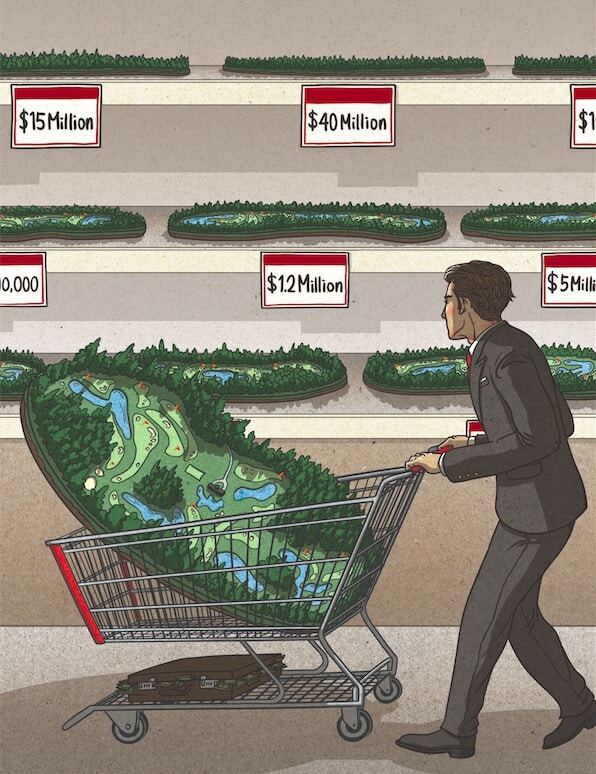 But it begs the question: what are the biggest golf facilities in the United States that are open to public play? There’s good reason Pinehurst is considered the cradle of American golf. The resort’s lineup of nine celebrated 18-hole courses is highlighted by No. 2, which architect Donald Ross called the fairest test of championship golf he’d ever designed, and No. 4, which just re-opened after an extensive renovation project by Gil Hanse that widened fairways, exposed sand, and incorporated more native grasses. Hanse also recently introduced a nine-hole short course named “The Cradle,” which he calls the most fun 10 acres in golf. It sits mere steps from the resort’s clubhouse, in the same area where Dr. Leroy Culver in 1898 carved the first nine holes out of the sand and helped create America’s first golf resort. 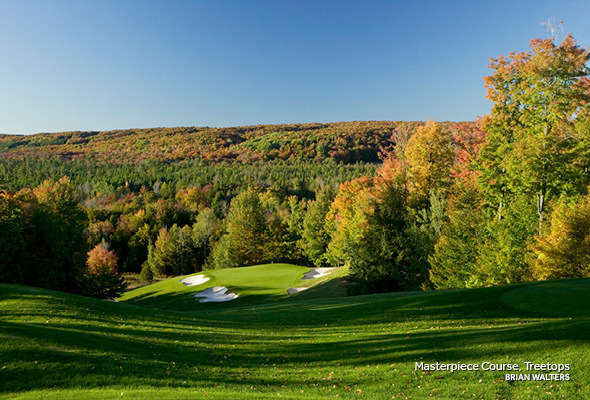 Northern Michigan is home to some incredible golf, including the bounty that exists at Boyne Resorts. Boyne has 10 courses spread across three resort destinations, all within a 45-minute drive of one another. The company was started more than 50 years ago by the late Everett Kircher, an innovative ski operator who was ahead of his time with a focus on active, outdoor leisure entertainment. 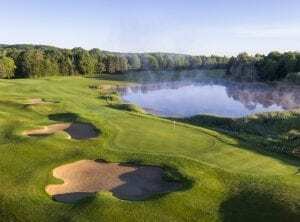 Boyne Highlands features four 18-hole courses, including The Heather, a Robert Trent Jones Sr. design that was recently voted Michigan’s 2018 course of the year, along with an executive layout. The Boyne Mountain Resort has two 18-holers, while Bay Harbor Golf Club features three distinctive 9-hole designs along the shores of Lake Michigan (an Arthur Hills creation that’s been called the Pebble Beach of the Midwest) in addition to Crooked Tree Golf Club perched high on the bluffs above Little Traverse Bay. Kiawah Island is known first and foremost for its acclaimed Ocean Course, which has hosted both the PGA Championship and the Ryder Cup. 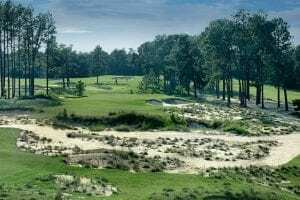 The Pete Dye design features 10 holes along the Atlantic Ocean (more than any other layout in the Northern Hemisphere) and is one of five championship layouts operated by the Kiawah Island Golf Resort, which also has Cougar Point, Oak Point, Osprey Point, and Turtle Point. 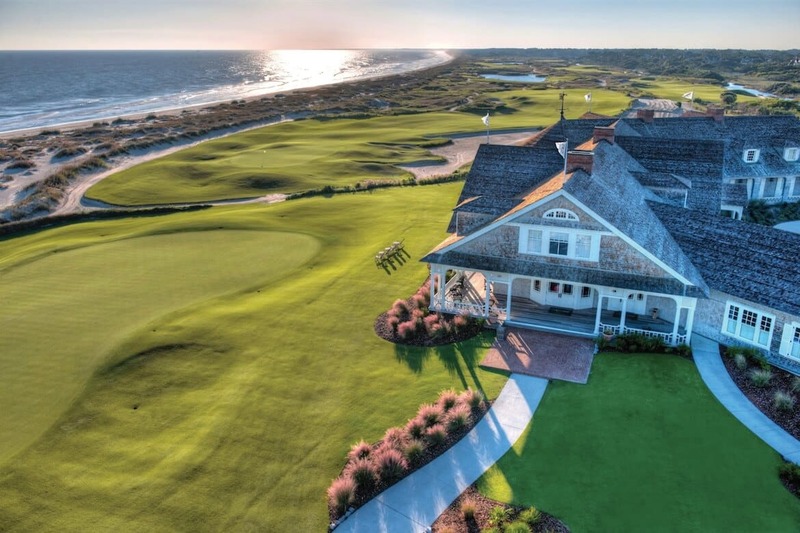 In addition to the resort’s 90 holes of public play, the Kiawah Island Club offers two private courses for property owners and members: the River Course (Tom Fazio) and Cassique (Tom Watson). Located midway between Atlanta and Augusta, the thriving community of Reynolds Lake Oconee boasts almost 3,000 houses and cottages, a Ritz-Carlton hotel and six championship golf courses for its residents, members and guests. The courses, including Tom Fazio’s 27-hole National, make full use of a massive man-made lake that has four times as much shoreline as Georgia’s Atlantic Coast. The other five courses are all 18-hole layouts, among them the Jack Nicklaus-designed Great Waters that’s currently the latest property undergoing a full renovation. 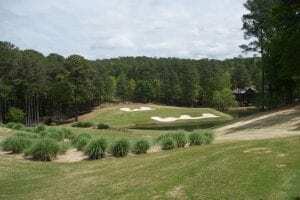 There’s also The Oconee course from Rees Jones, the private Creek Club (Jim Engh) for members, and The Landing and The Preserve courses built by Bob Cupp that first helped stamp Lake Oconee as a golf destination. Gull Lake View is the oldest and largest golf resort in Southwest Michigan, with six 18-hole courses within a 12-mile radius. It was founded by Darl and Letha Scott, who designed and built the first course that opened in 1965. The Scott family designed four of the six courses at the facility: Gull Lake View’s West and East layouts, and Stonehedge North and South courses. 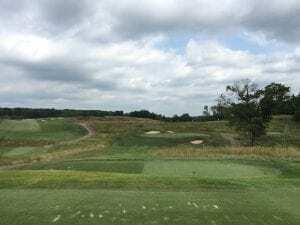 The resort purchased the Bedford Valley course in 1988 and last year opened its sixth course in Stoatin Brae, which sits on the rolling contours of a former apple orchard high above the Kalamazoo River Valley. Probably an unknown for most golfers, Bella Vista is a 36,000-acre recreational community in Northwest Arkansas that has five regulation 18-hole courses, two 9-holers, and the picturesque Ozark Mountains as a backdrop. Many homeowners and visitors are attracted to Bella Vista, which is less than five miles from the Missouri state line, by the low cost of living and natural beauty. In addition to miles of biking and hiking trails in the area, the 18-hole courses at Bella Vista are the Country Club, Highlands, Scotsdale, Dogwood, and Kingswood. Does the number of golf holes help shape your decision on whether or not to visit a resort? Let us know in the comments section below!